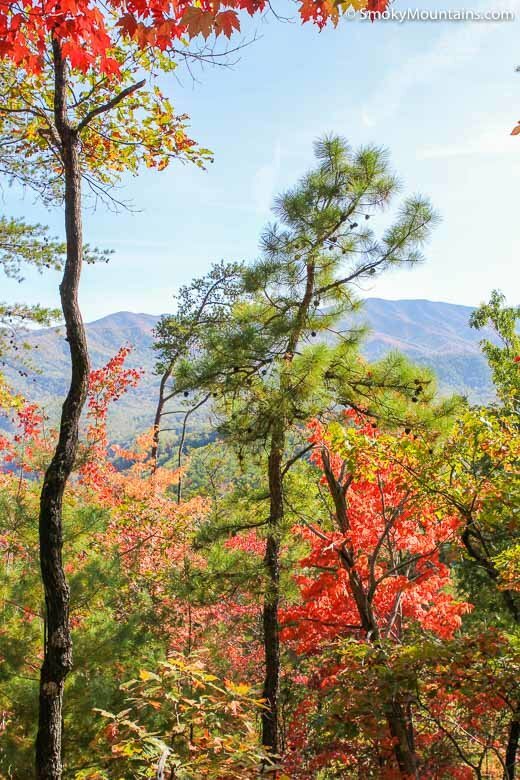 The Great Smoky Mountains are famous for their botanical diversity, and one of the richest expressions for that diversity is the range's spring and summer wildflower spectacle. 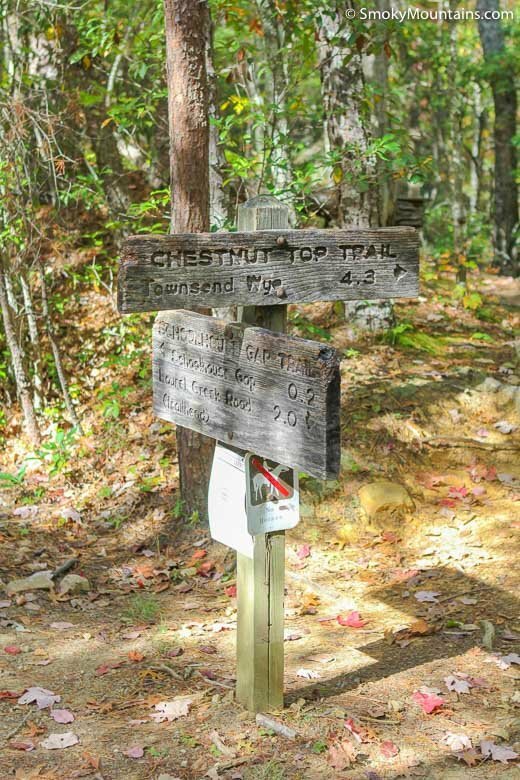 There aren’t many more accessible showcases for that spectacle than the Chestnut Top Trail. 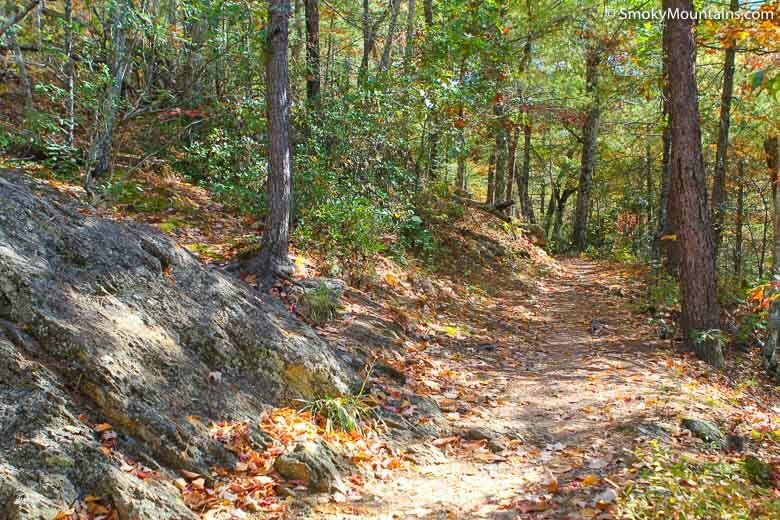 Besides the floral fiesta, the trail’s ridgetop traverse provides a nice workout and some decent views just a stone's throw from Townsend. 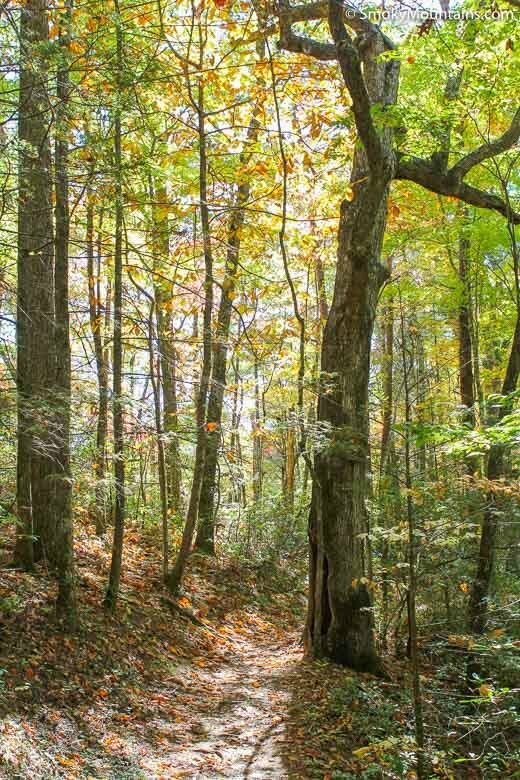 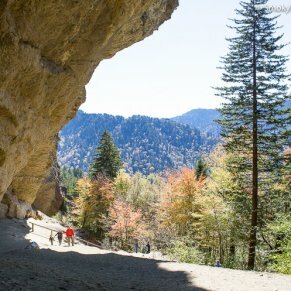 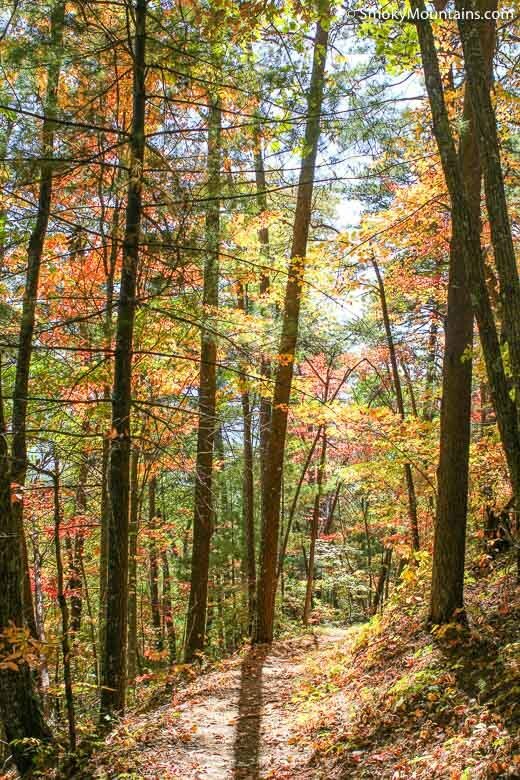 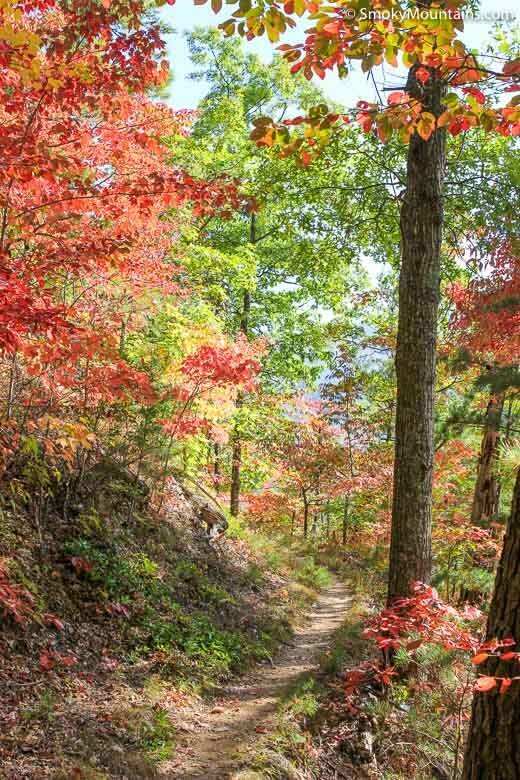 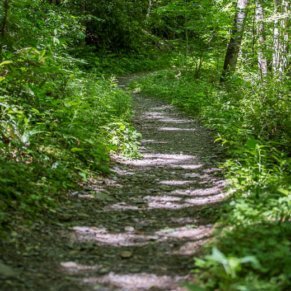 The Chestnut Top Trail easily ranks among the most celebrated destinations in Great Smoky Mountains National Park for wildflowers: Its first leg serves up some major bang for your buck in that department during the spring. 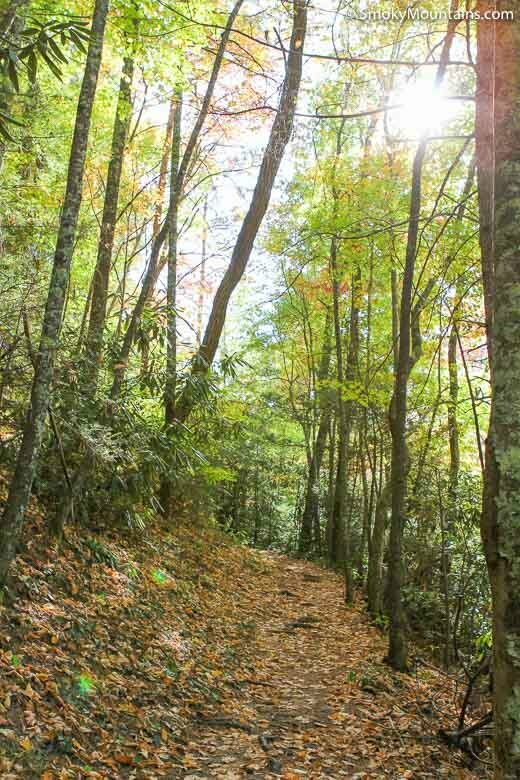 While that’s the chief drawing card, this ridgeline walk also makes one of the more accessible immersions in the Smoky Mountain highlands, given how close it is to the park’s northern boundary. 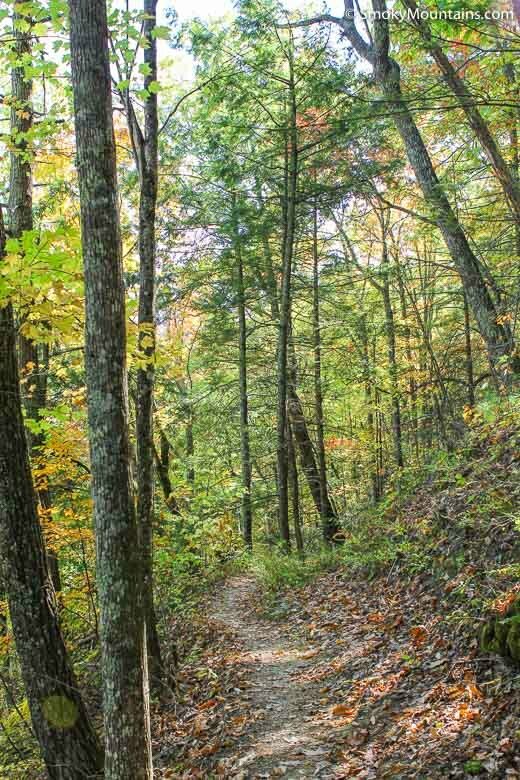 The trailhead is only about three miles from Townsend, Tennessee. 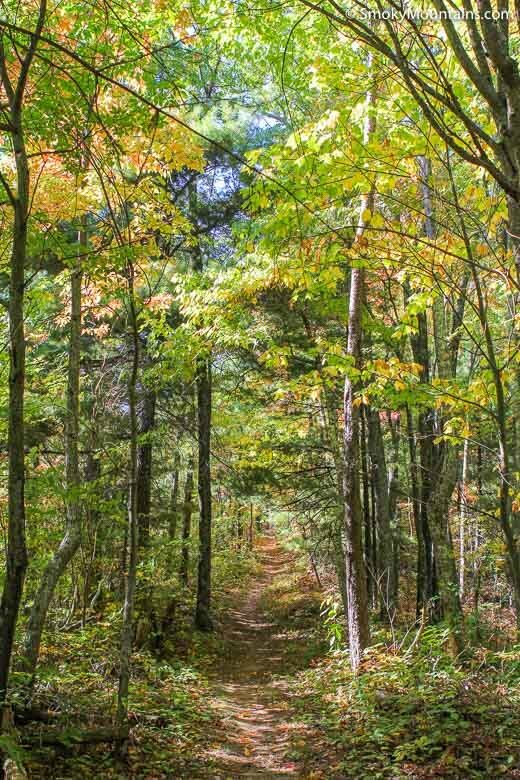 Lots of hikers confine themselves to the Chestnut Top Trail’s first half-mile, the richest stretch for flower-viewing. 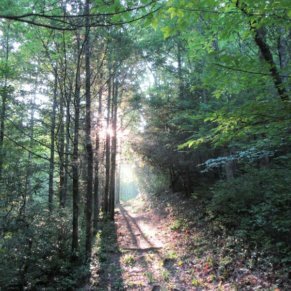 The full length of the trail makes an 8.6-mile round-trip hike: from the trailhead to the Schoolyard Gap Trail junction and back again. 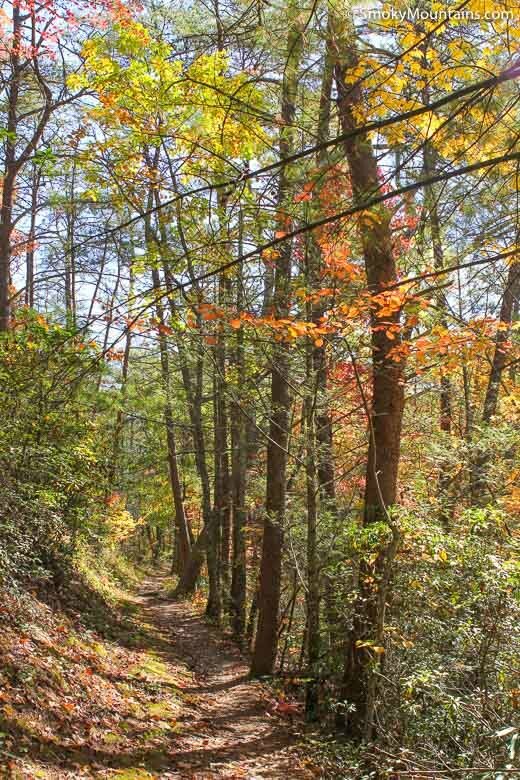 This involves nearly 1,500 feet of elevation gain. 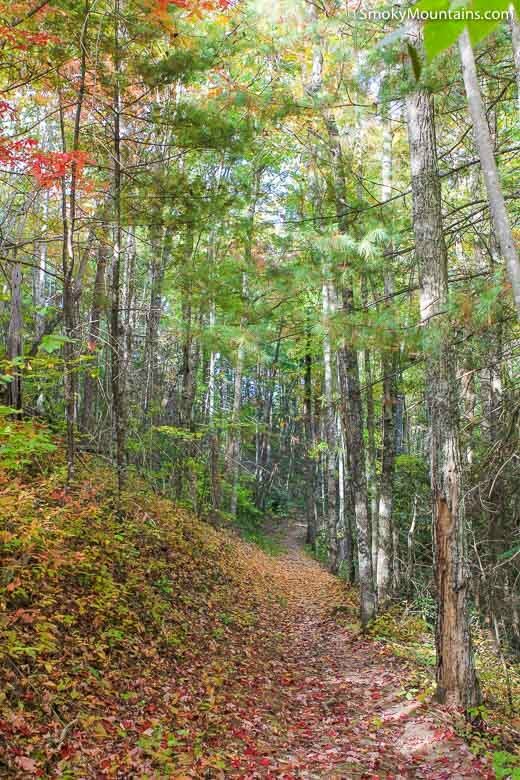 That initial course of the Chestnut Top Trail takes you up a northeast-facing limestone slope supporting a hardwood- and hemlock-dominated forest. 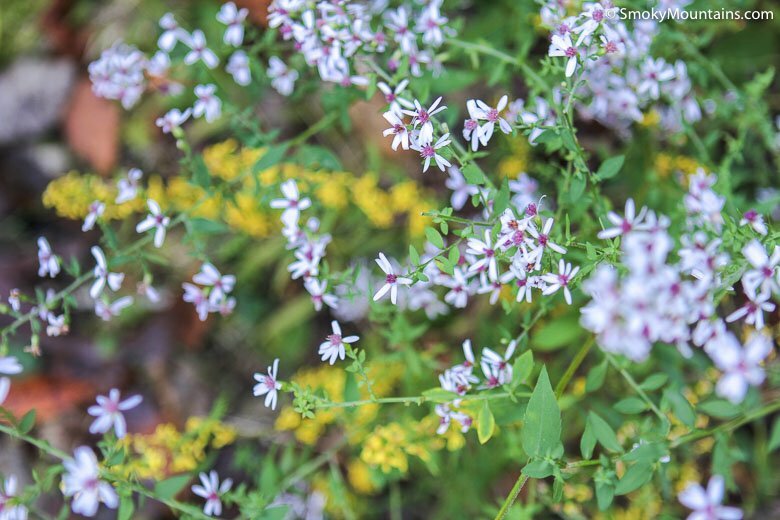 From early spring through summer, the forest floor blazes with blossoms: The impressive diversity of wildflowers on this mountainside, from spring beauties and trilliums to rattlesnake hawkweed and bloodroot, ensures a drawn-out cycle of varied blooms. 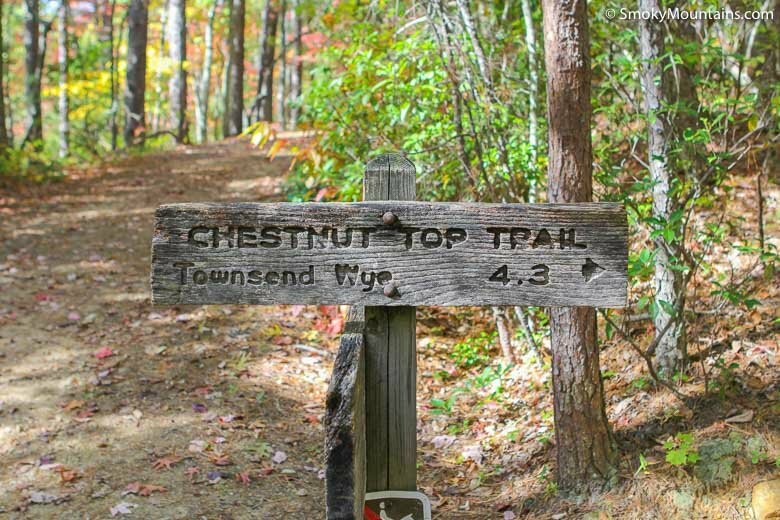 After a half-mile, the trail eases somewhat as it gains the long, southwest-to-northeast-oriented ridge crest of Chestnut Top Lead. 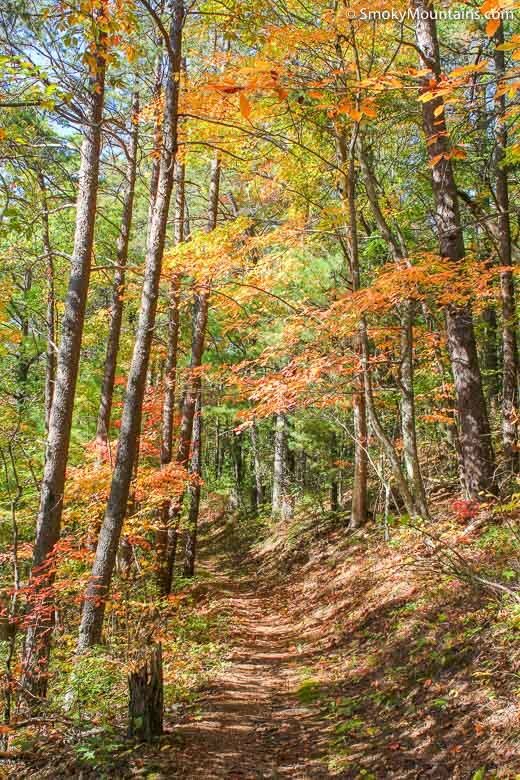 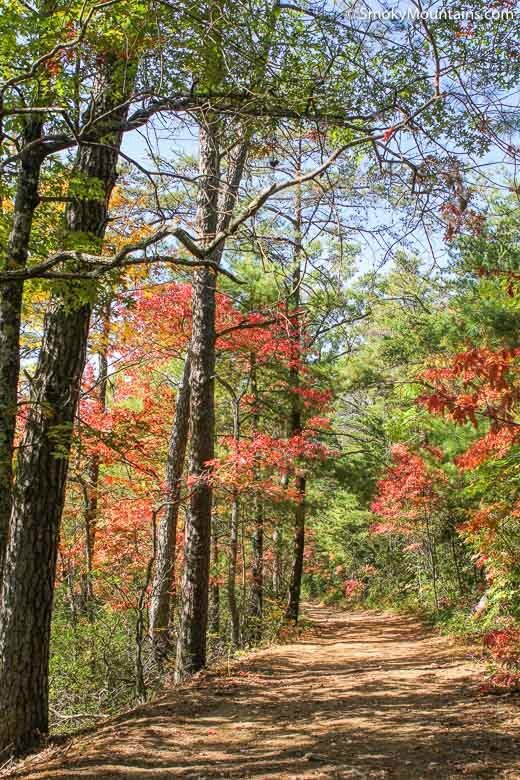 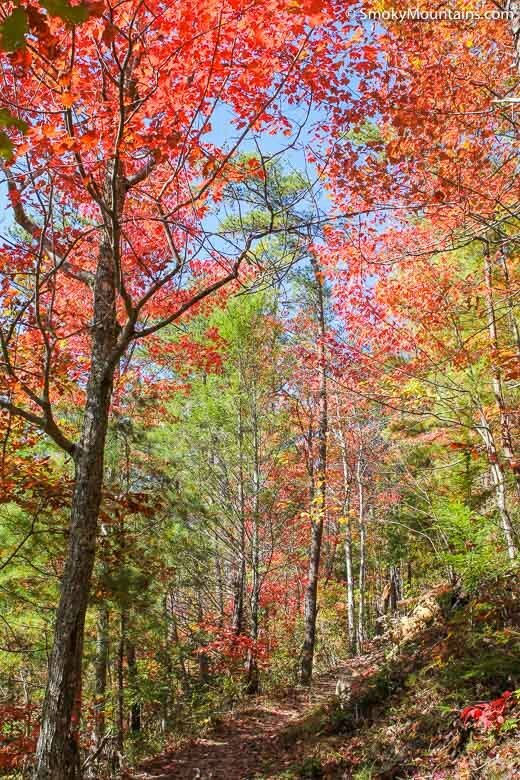 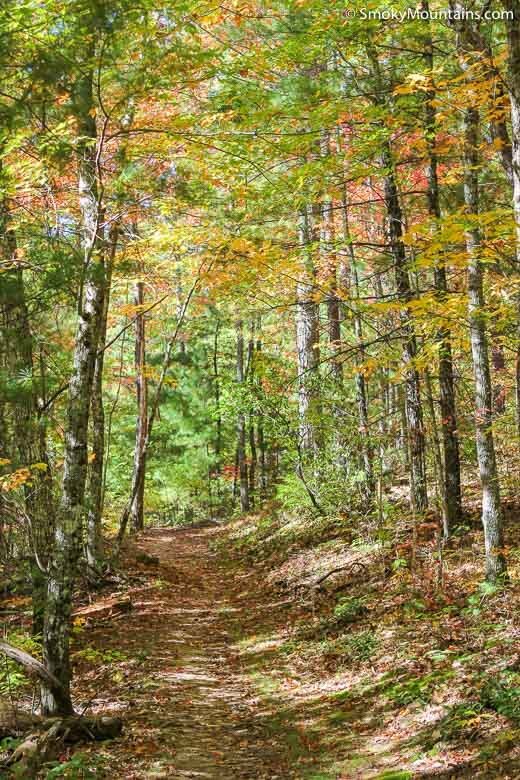 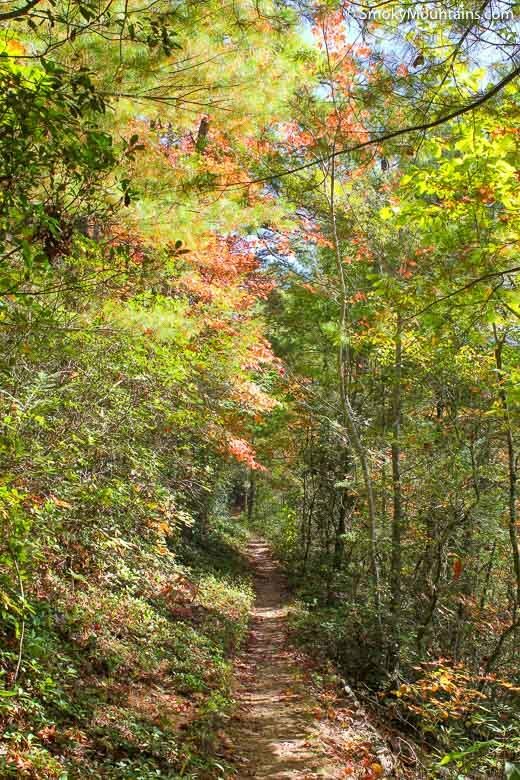 The rest of the trail hugs this spine through dry pine-oak woods, rounding ridgeline knobs as it heads toward Bryant Gap. 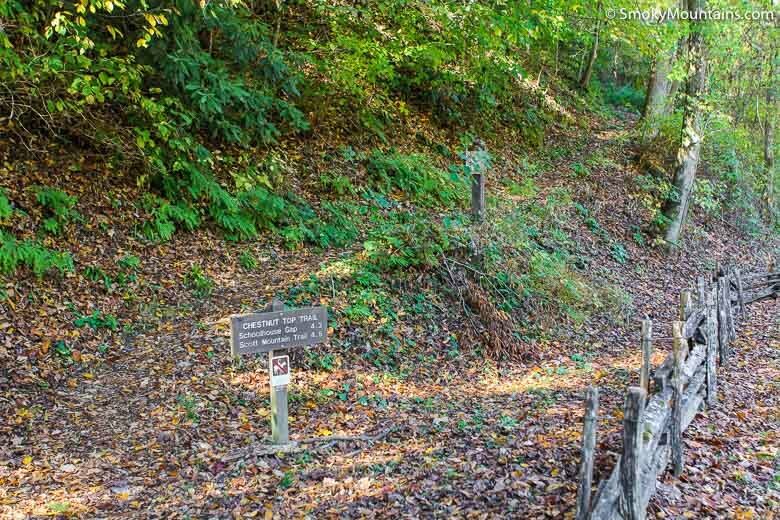 Just past that saddle, you’ll detour around the summit of the ridge—Chestnut Top itself—and then start curving southward toward the intersection with the Schoolhouse Gap Trail. 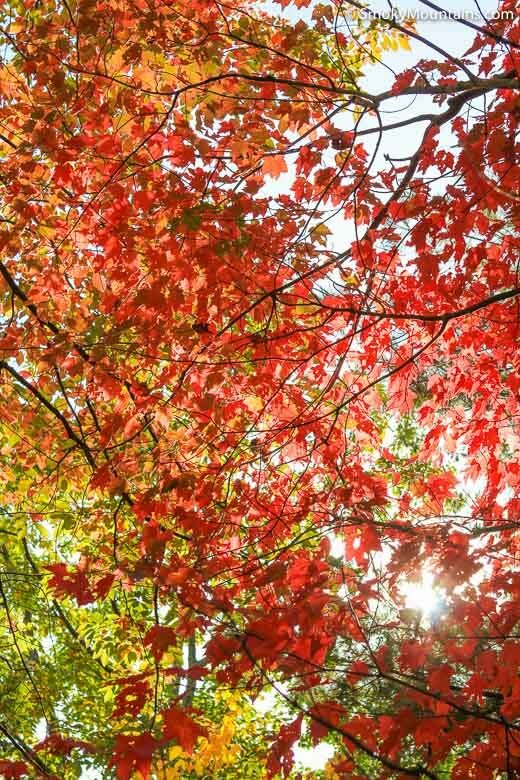 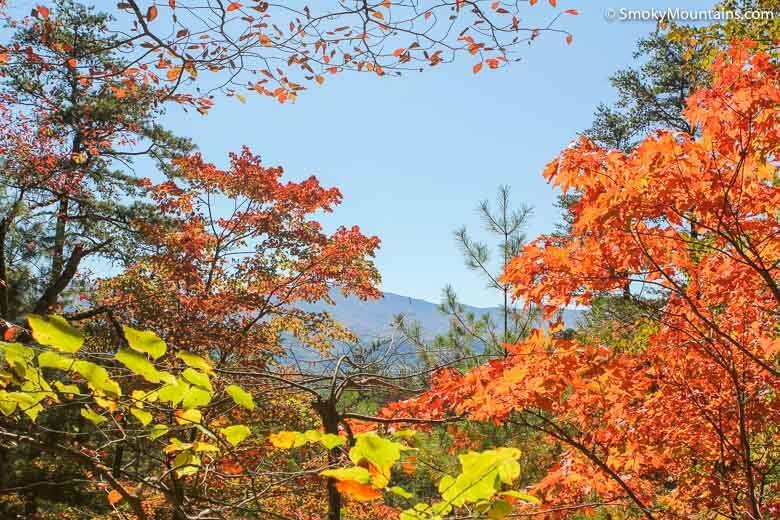 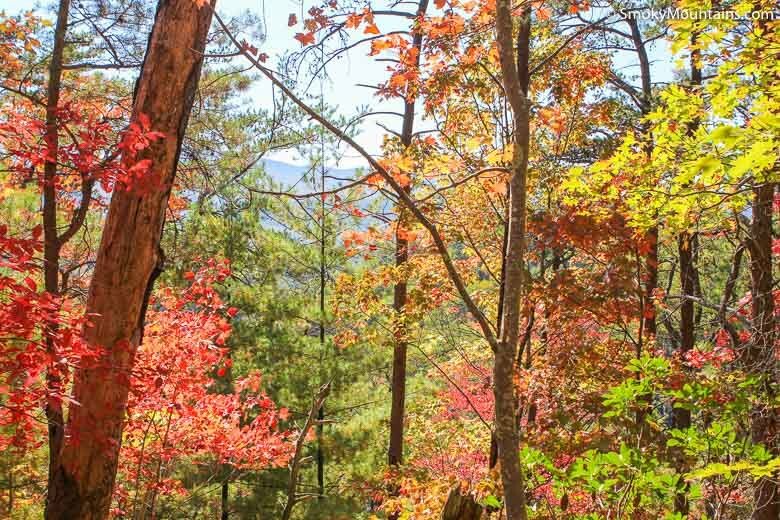 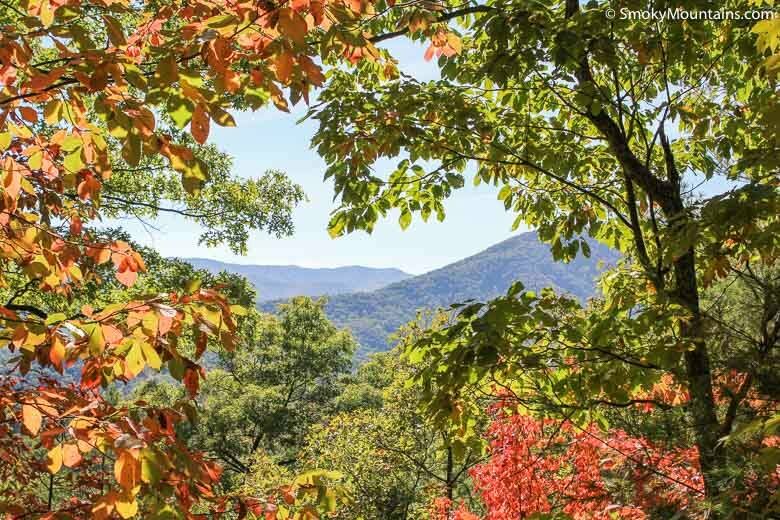 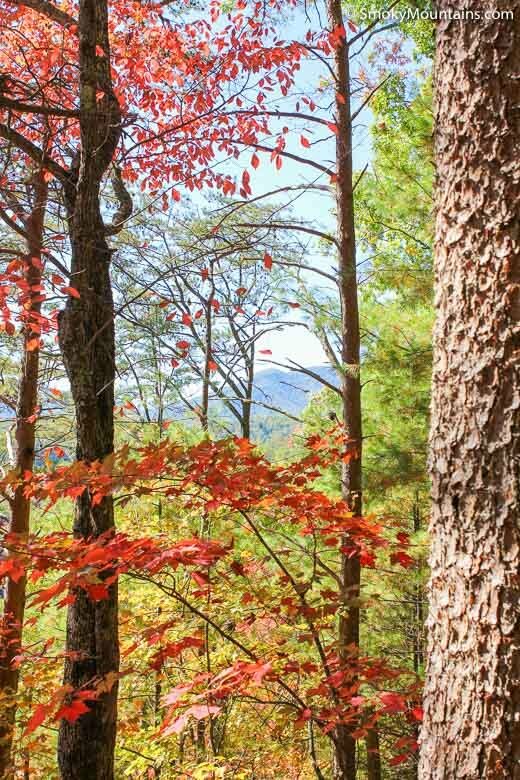 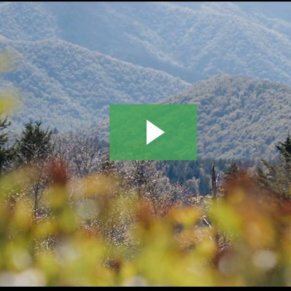 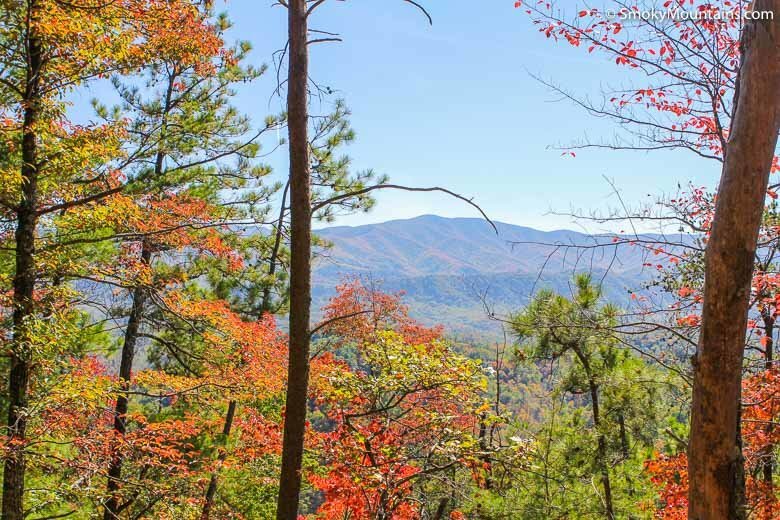 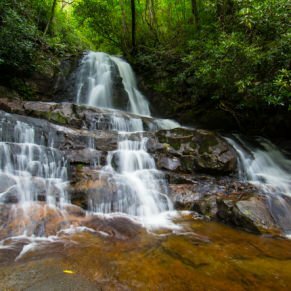 You’ll enjoy sporadic views from the Chestnut Top Lead crest both north (toward Tuckaleechee Cove) and south (into the heart of the Great Smokies). 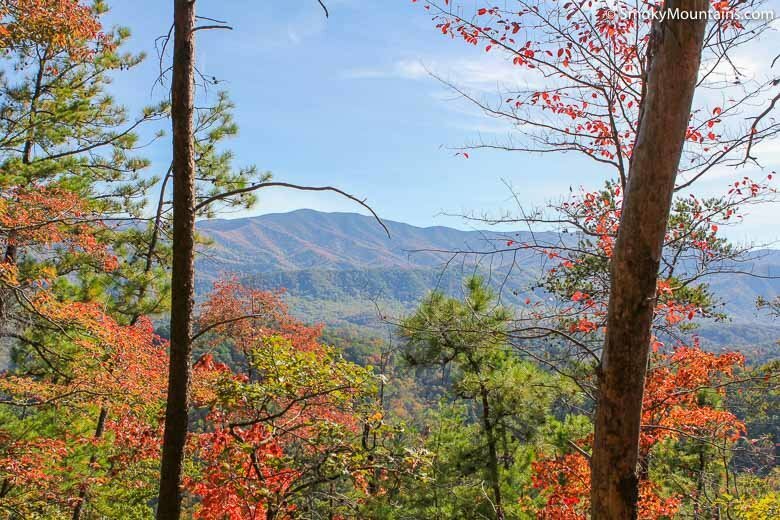 From downtown Gatlinburg, drive towards the National Park. 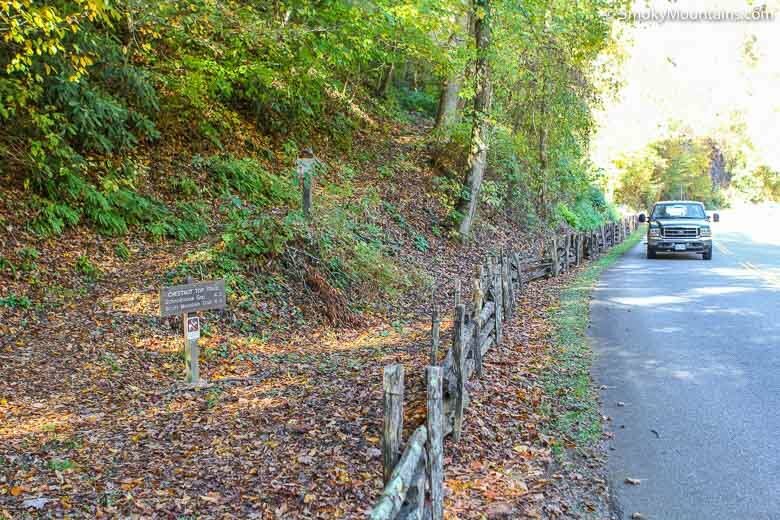 When you see the Sugarlands Visitor Center on your right-side, make a right turn on Little River Road. 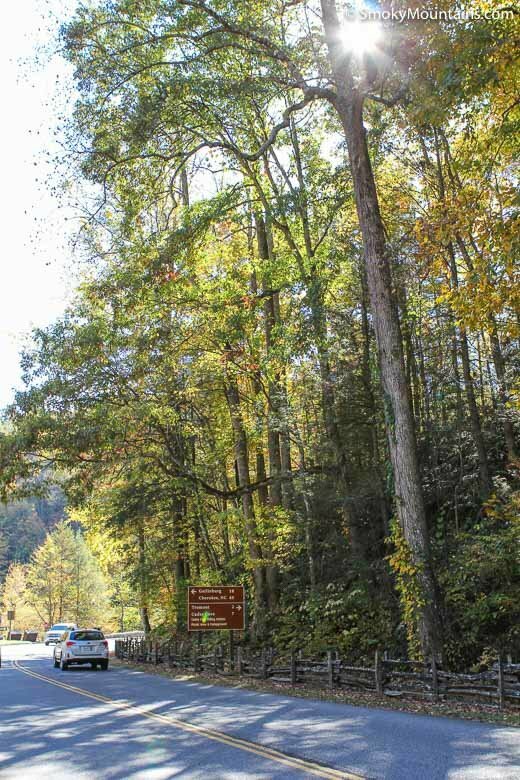 After turning right, you will drive approximately 17.5 miles to the Townsend Y. 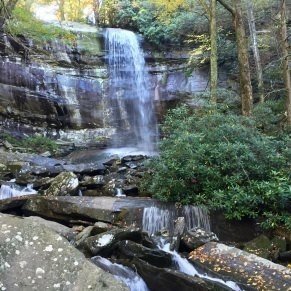 Make a right on Route 73 (at the Y). 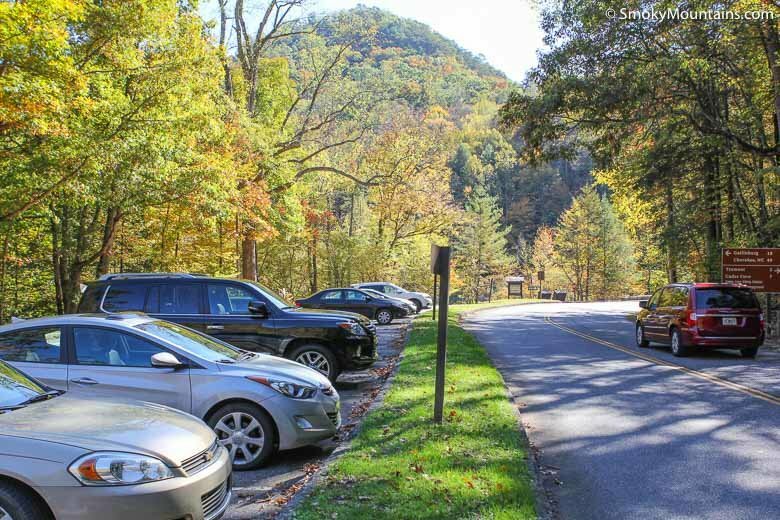 The parking lot is immediately on your right side. 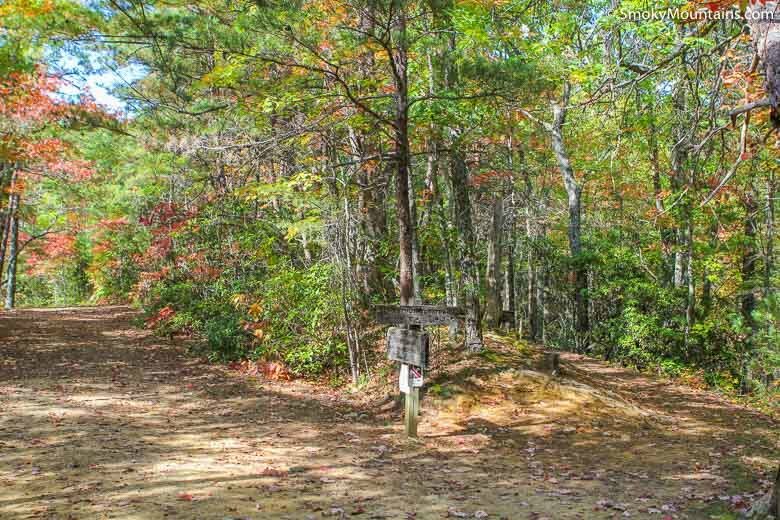 The trailhead is across the street from the parking lot. 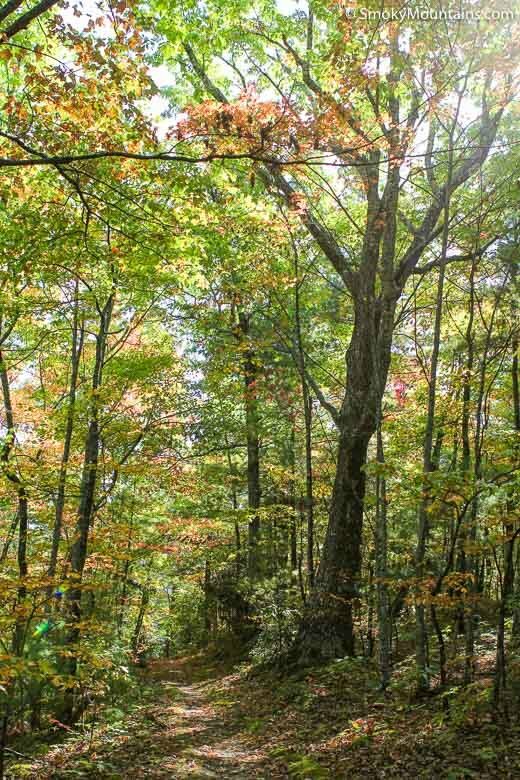 -The timetable of the wildflower show on the flanks of Chestnut Top varies from year to year, but typically April sees the peak bloom. 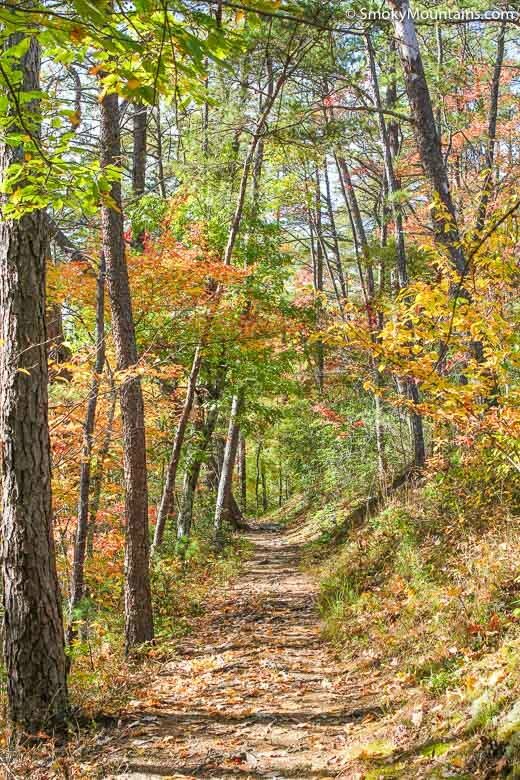 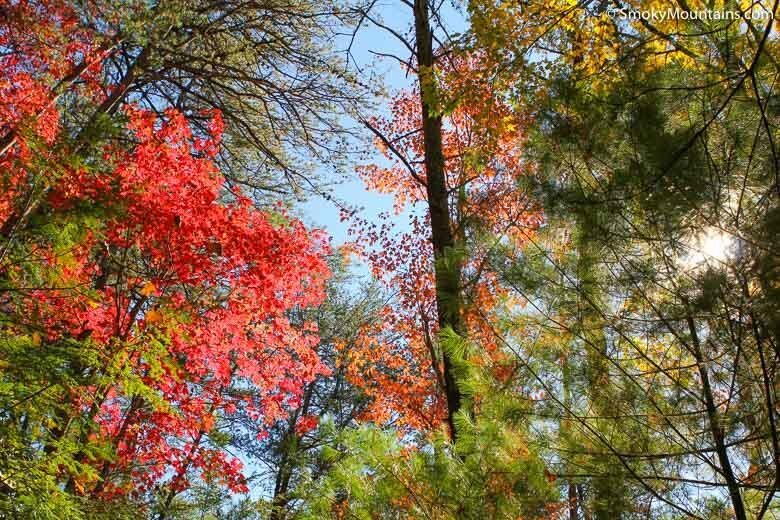 It’s definitely worth trying to take this trail then—and bring that camera along, for sure! 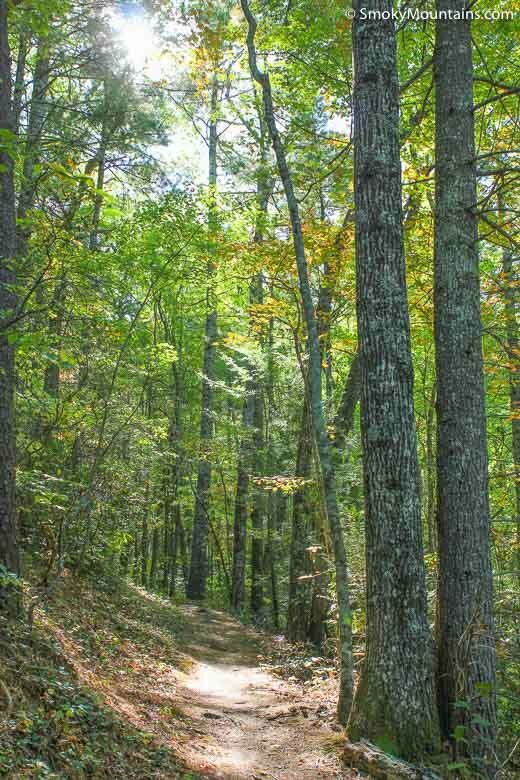 -Since you will be parked at the beautiful Townsend Y, pack a picnic lunch and swimsuit. 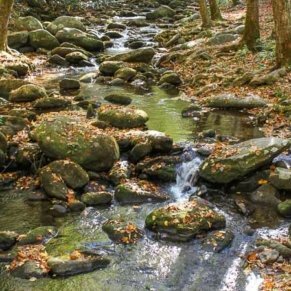 This is the perfect place to relax before or after your hike.